IB Kiwanis President Gary Brown takes over as Lt Governor for Kiwanis District 11 at September 16th Ceremony! 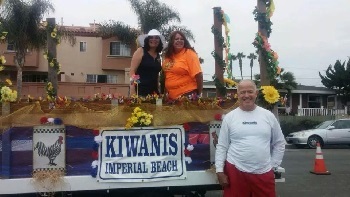 Imperial Beach South Bay Kiwanis President Gary Brown will become Lt Governor for Kiwanis District 11 on September 16th at a Ceremony to Inaugurate him and Honor outgoing Lt Governor Zoneice (Zoey) Jones! Division 11 is the southwestern area around San Diego. It includes downtown San Diego, Lemon Grove, Chula Vista. Bonita, part of Point Loma,and other parts of San Diego. 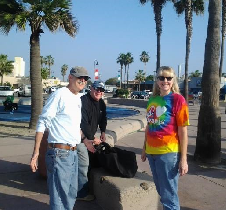 The group with the most activities helping to supporting others in Imperial Beach is arguably the Kiwanis of Imperial Beach. 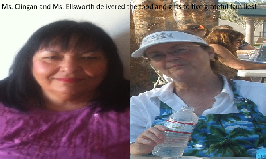 Their focus is helping children locally in Imperial Beach, Children's Hospital and children around the globe. You can always find them out there working to help others! Besides their own projects, you can find them teaming with other groups to help with their events. Their attitude is great and they always find a way to have fun in what they do! Besides the events like the Fishing Derby, Septemberfest or the Sun and Sea Parade, they work on projects and events for Rady Children's Hospital. Rady’s is the largest children's hospital in California and works exclusively on pediatric healthcare. It's associated with UCSD as a teaching hospital for future pediatricians, and it is a research center in conjunction with St. Jude Children's Research Hospital and UCSD. The Kiwanian "FREE Fishing Derby" is for children up to 16 years old. The Fishing Derby took place Saturday, August 23rd at the Pier Plaza. The Kiwanis turned so many kids’ faces into smiles during the Fishing Derby that it was worth going to see that alone! Besides getting to experience fishing, many for the first time, the Kiwanis had so many prizes for them that every kid went home a winner with a prize! 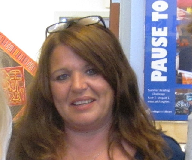 “SeptemberFest” Which happens on September 12, 2015 this year is one of the Kiwanis’ major fundraisers. It’s a fun night for the adults to party and socialize with friends. It will have music from Ron Kelley’s Band, brats and beer. It helps them cover expenses for donations or projects they do. I can’t think of a better place to start talking more about what they’ve done to help than to start with the “2014 IB Kiwanis of the year.” That was awarded to Sha-Ron Cobb. She is a very deserving person! Every time I have been at an event in IB, I have seen Sha-Ron doing something to help others out! If you have lived in Imperial Beach for any amount of time, you probably already know Sha-ron and the giving person she is! 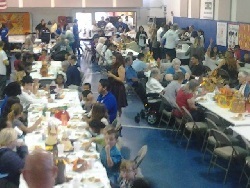 Kiwanis’ biggest and most involved effort had to be the 19th Annual “Feed the Kids and Families” event November 24th. 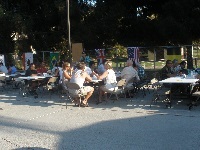 The IB Kiwanis had 30 to 40 members who helped out. Their effort made it a big success. They fed around 500 children and their families. Some members helped with gathering food and supplies and other members helped in other ways, like serving food and handing out free books to children. The event was held at the Boys and Girls Club of IB with them and other groups contributing greatly. But sometimes small things turn into a big deal as well! Many Kiwanis painted the exterior of an elderly ladies house and clearing her back yard of overgrown vegetation. A week before Christmas they “delivered Gift Basket to 5 families.” Melanie Ellsworth, Gary Brown, and Ruth Clingan went grocery shopping and loaded their carts with hams, potatoes, stuffing, apples, oranges, vegetables, spaghetti and sauce, beans, cookies and other goodies that became holiday meals for five families. They packaged the food with other gifts for parents and children that were donated by other Kiwanians such as blankets from Gary Trieschman, toys from Donn Hall, shower gels and lotions for the teenagers, and parents, coloring books for the little ones, donated by Ruth Clingan, and books for all of the children, young and older, donated by the San Diego Book Project, collected by Dana Tomlinson. Ms. Ellsworth gave a heap of toys. Dana Tomlinson collected and labeled 3 to 5 books for each of the 15 children in the families that received the Christmas Baskets. That afternoon and evening they delivered the food and gifts to five grateful families who had been chosen by the Imperial Beach/South Bay Boys and Girls Club as part of its efforts to help families during the holiday season. The Kiwanis also had a booth at “Christmas comes to IB.” Kiwanis with help from the Key Club of MVHS raised money to fund their various charity programs to help out the needy children of the world. They were out there for 5 or 6 hours selling hot dogs not including all the time it takes to get the equipment all set up and then put it back away. Another big effort of the IB Kiwanis is working with Schools. They give out the “Student of the Month Award.” The Student of the Month is nominated by his or her teacher. The winner is chosen in recognition of his/her academic excellence, great effort, and willingness to work hard. As Student of the Month, they attend the next Kiwanis meeting with their family, teacher and school principal where they receive an award certificate, have their picture taken with their family, teacher, principal and a member of the Kiwanis. They also receive $25 to go into a savings account for college. Kiwanians also donated around 40 books to the SBUSD to go in their libraries for students to read or classes to check out, signed in recognition of those speaking at their Meetings, and Students of the Month. Additionally, there were at least 3 occasions that our club met up and prepared sandwiches for “Sports For Exceptional Athletes”, and also participated in one of the track and field events along with MVHS Key Club in April 2014. Members of the IB Kiwanis club also helped Camp Surf by providing lunch with a BBQ lunch for Sports for exceptional Athletes. students attending the South Bay Union School District. Walmart volunteered to let the Kiwanis put a bus in front of their store on Saturn Blvd and the Kiwanis were able to collect approximately $4,000 in School Supplies for the district’s students. The Kiwanis donate money to support “Project Eliminate.” The Eliminate Project: Kiwanis eliminating maternal and neonatal tetanus (MNT) is a global campaign that will save and protect millions of mothers and babies worldwide. They also have 4-5 members help out at MVHS home Football games as ushers, etc. referred to as the “MVHS Chain Gang”. Nine of our members participated on “Red Shoe day” June 26, standing on the corner to help raise funds for Ronald McDonald House for a total of $655. Members of club, the MVHS Key Club joined in the City in an effort to clean up the beach March 2014. They donated funds to two Imperial Beach Students to help defer some of their cost to attend Valley Forge, Freedom Foundation. The Kiwanis honored lifeguards in January for an act of heroism, saving a life of someone pulled out from the ocean in Imperial Beach. One of the members, who happens to be a firefighter in Imperial Beach, volunteered for the SD Burn Institute at Camp Beyond the Stars last week in July and 1st weekend in August. May 2014 our club participated at the MMQ event by laying out quarters and making our budgeted donation, while some of our members helped with breakfast at the event and cleaning tables. As you can see, the Kiwanis of Imperial Beach/South Bay is a very giving group and helps the Imperial Beach community in so many ways; we don’t have time to go into lots of details on all of the projects and events the Imperial Beach Kiwanis were involved in. However, it is easy to see why they are “IB’s Raising Stars”. This is a big group of people who makes a very big difference in our community. We are very fortunate to have them! Kiwanis’ current global campaign for children, The Eliminate Project: Kiwanis eliminating maternal/neonatal tetanus, aims to raise US$110 million and save the lives of a 129 million mothers and their future babies. In partnership with UNICEF, Kiwanis is committing by 2015 to eliminating maternal/neonatal tetanus, a disease that kills one baby every nine minutes. By targeting this disease, Kiwanis will not only save lives but also pave the way for other interventions that will boost maternal health and child survival among the poorest, most underserved women and children in the world. Announced at the 95th Annual Kiwanis International Convention in June 2010, this project will tap into Kiwanis' global volunteer network and strength in reaching communities and leaders, along with UNICEF’s field staff, technical expertise and unbeatable supply chain to wipe out this cruel, centuries-old disease. During Kiwanis’ first global campaign for children, the Worldwide Service Project for IDD, members worked to virtually eliminate iodine deficiency disorders (IDD), the world’s leading preventable cause of mental retardation, while raising more than US$100 million. Heralded as one of the most successful health initiatives in the world, today those dollars are at work in more than 103 nations—and the number of households consuming iodized salt has jumped from from an estimated 20 percent in 1990 to more than 70 percent, saving developing nations and the world billions of IQ points.